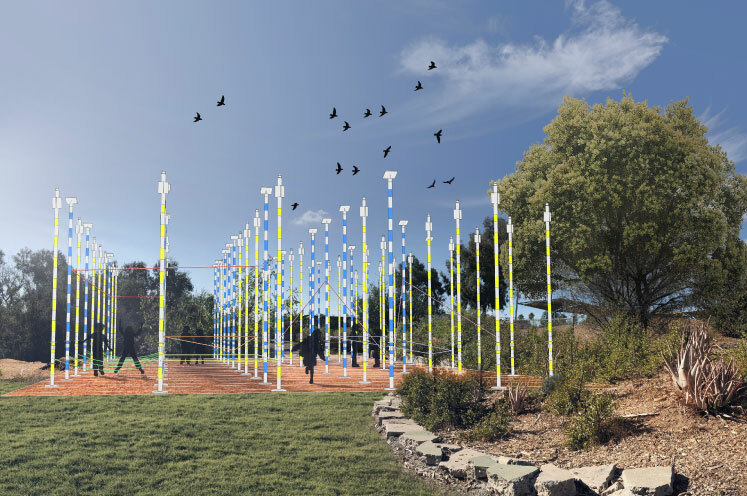 This exhibit has been designed as a ‘life-size’ geoboard, comprised of a grid of 10′ high ‘smart’ poles. 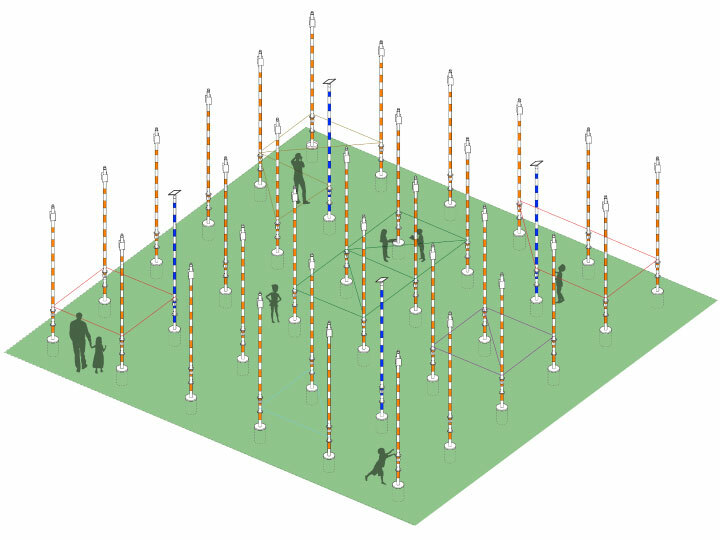 These are vertical columns that perform a variety of actions, supported by photovoltaic capability. This environment introduces the students to concepts related to geometry, mathematics, measurement, circuitry and micro-grid energy generation. This exhibit is inspired by a geo-board game often used in classroom teaching, which is usually comprised of a wooden board with a series of vertical pegs that students use to create different geometric shapes with colorful threads, etc., learning about geometry and measurement.